Display your creations proudly in our pretty little pouches! 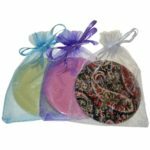 These are lightweight, drawstring gauze bags which are perfectly sized to slip a mirror, badge, magnet or any other creation into. 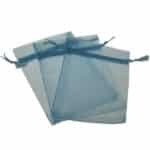 The pouches are perfect for protecting your products, particularly if kept in a handbag or kitbag. 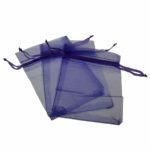 They come in a choice of three colours: purple, blue and white. 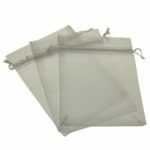 The small pouch is the perfect size for 58mm products (or smaller), and the large pouch fits 77mm products.